Amazon changed the way they handle S3 access some time ago. 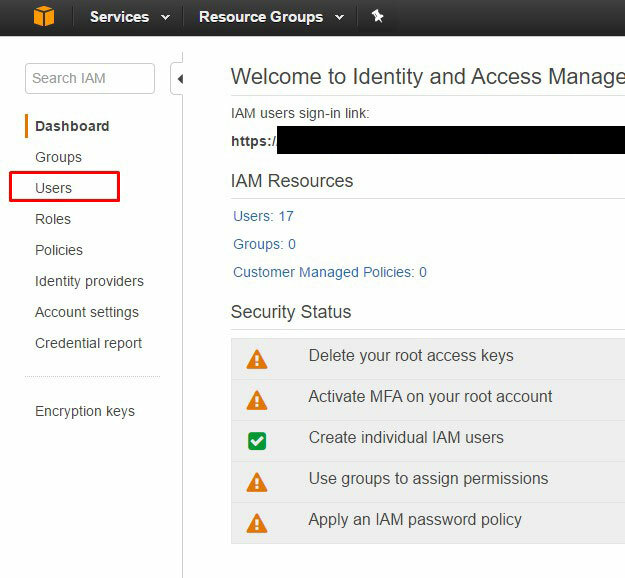 You basically have to create a IAM user, and assign a security policy to that user, so that you can programmatically access S3. So when any application like MY IM Toolbox asks you for your Access Key and your Secret Key, this is what you need to do. 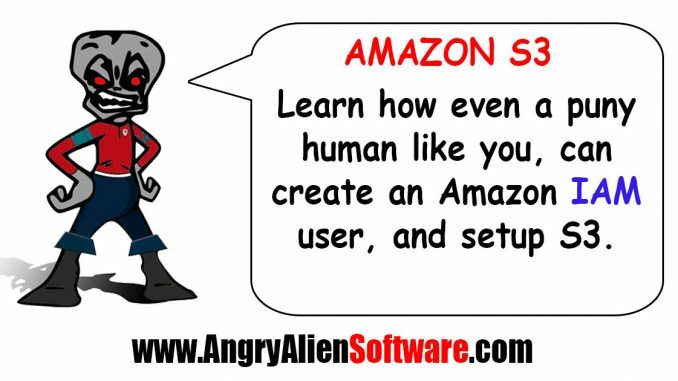 You need to have an Amazon account, obviously first… If you don’t have an Amazon account, get one. Then login to the URL above. 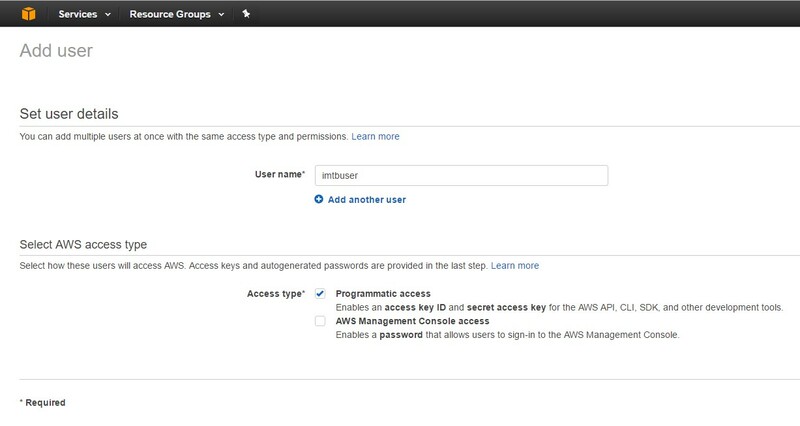 If you never accessed Amazon’s AWS services before with the account, you will probably have to go through some things first when you sign in. 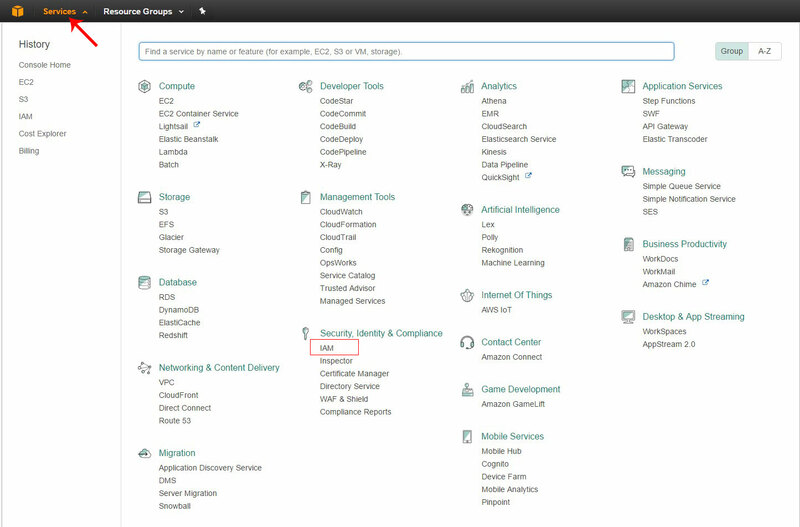 After you actually get through any of that… and you get to where the URL above takes you, you will be at looking at your Amazon AWS console. 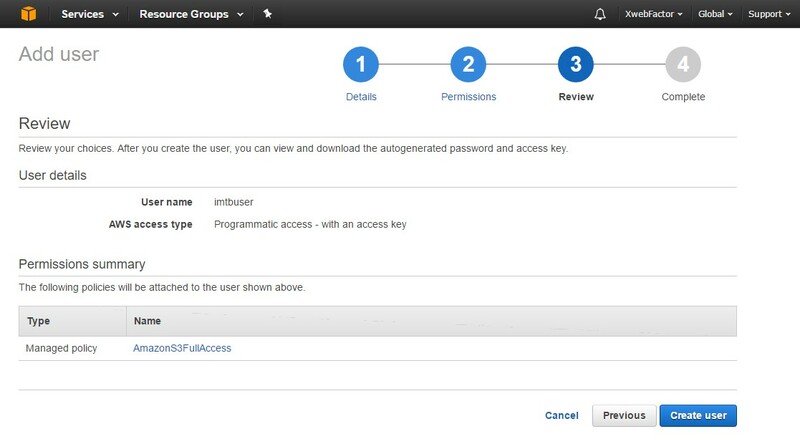 Make up a username, and put a check in the box for programmatic access. 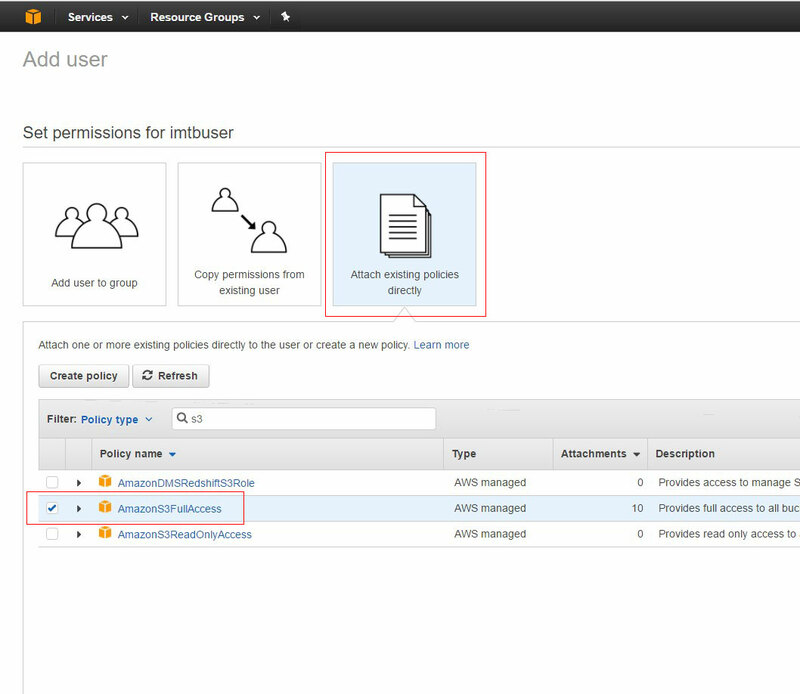 On the next screen, make sure you click ATTACH EXISTING POLICIES DIRECTLY. Then in the policy type field, type S3 in, so that it will filter the results, and you don’t have to scroll through the list of policies, to find the one you need. Here you will be checking AmazonS3FullAccess. Then just click the blue button, it will say Next, or something like that, to continue to the next step. Now you are presented with a summary page to review what you selected. You just have to click Create User now. After you click create user, you are done… You will see your Access Key, but the Secret Access Key will be hidden. You just need to click show, so that you can see it. That’s it… You now have the Access Key, and Secret Key, to use in whatever application calls for them.